The Cultural Education Program rose to the challenge of the community by developing a formal school structure with a defined program of education and learning system. Through this program, the children were able to learn the basics of reading, writing and arithmetic while gaining greater and deeper perspective of the Pulangiyen history and culture. At the end of the program, the students are encouraged to accredit their learning through the Philippine Educational Placement Test (PEPT). The PEPT is a system developed by the Department of Education to accredit learning of students who have not had the opportunity to undergo formal, mainstream education. While this system worked for children in the lowlands, the PEPT was unable to respond to the realities in the community. The system has left the students in Bendum continually detained in the primary level as they can’t seem to pass the minimum requirements in order for them to be accepted to secondary level or for some of the students, even to the intermediate level. 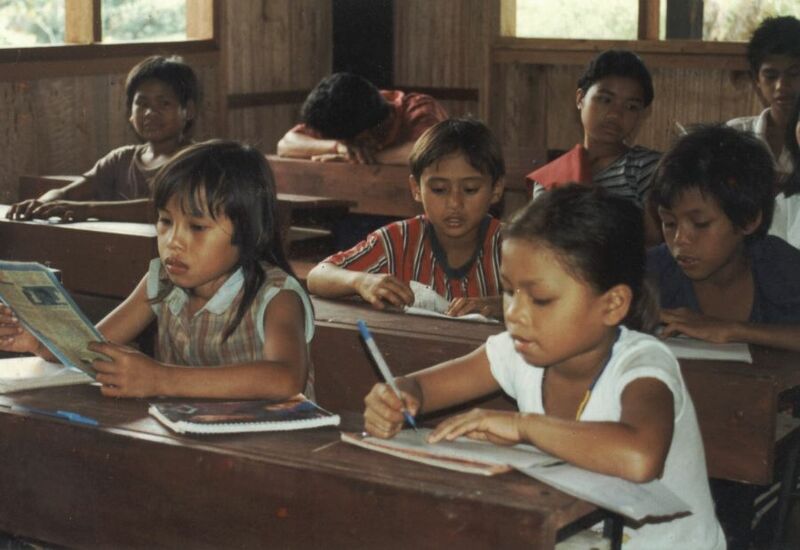 Given this reality, the community saw the inevitable need for the Apu Palamguwan Cultural Education Center to be recognized by the Department of Education as a legitimate elementary school for Indigenous Peoples. The concern of Bendum students being classified in the PEPT as non-schooled is believed to be just the tip of the iceberg. The issue of accreditation of learning is simply a manifestation of the deeper and real issue, which is the lack of recognition of the school as a legitimate educational institution catering to the needs of the Indigenous Peoples. On February 2004, after a long process of coordination and advocacy, the Center received a permit from the Department of Education to operate an elementary course. Four months later, on June 17, 2004, the Undersecretary of the Department of Education read to the Bendum community Dep Ed Memorandum Order #42, which provided for the “Recognition of Schools for Indigenous Peoples and Cultural Communities”. For Bendum, these two events are crucial and significant in their community’s life not only because it signaled the formal acknowledgement of APCEC as an Educational Center but it also paved the way for Indigenous Peoples to gain greater access to quality education and for civil society groups working for IPs to broaden their areas of engagement with government. Applying for school recognition is simply not a matter of following the procedures and requirements for the recognition of private elementary schools. It goes beyond the Basic Education Curriculum, the facilities that the school can offer or the degree which the education facilitators have attained. 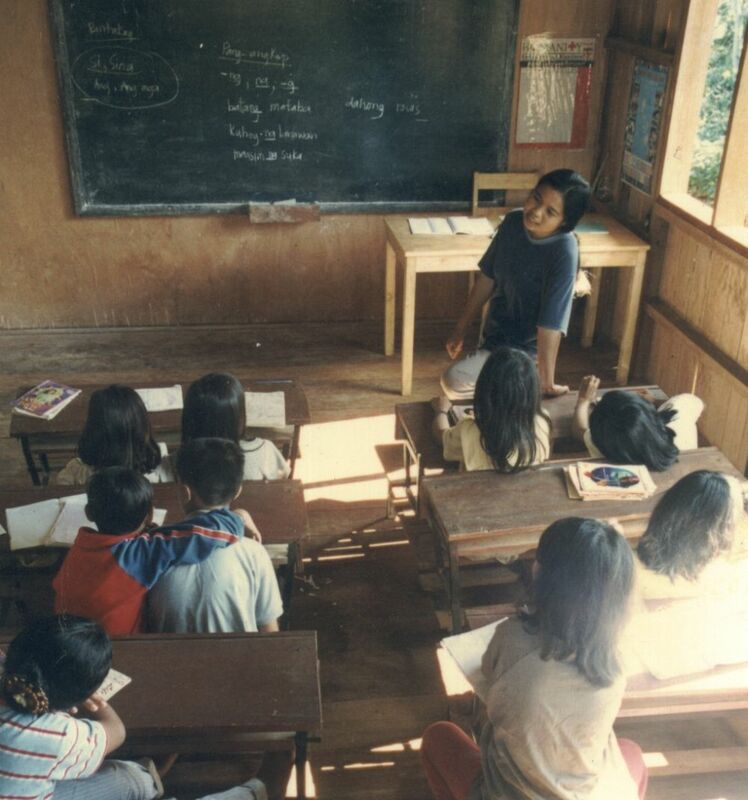 For Apu Palamguwan Cultural Education Center, what is essential is whether the school is able to respond to the needs of the Pulangiyon, whether the curriculum has indeed allowed the students to gain the needed learning competencies and whether it has successfully integrated the mainstream knowledge and skills with the cultural identity of the Bukid’-non Pulangiyen.